In this article we will see that the Quran tackles the different types of waters and categorizes them according to there degree of purity. The Qur’an identifies the “distilled” water which is rainwater as the pure water, names the “fresh” water that we drink from rivers and wells the “sweet” water and names the sea water that holds a high percentage of saltiness as “bitter” water. It has been established scientifically the distinction between these kinds, and this what we will cover thoroughly in the coming sections. It’s worthy to note the single drop of water contains five thousand million of water molecules!!! How many do the world seas include!!? (And it is He who sends the winds as good tidings before His mercy, and We send down from the sky pure water)The Criterion, 48. I have contemplated on this verse for a long while and discovered that it tackles precisely the specifications that scientists label now days as “Distilled Water”. They have revealed that the water we drink contains many substances and organisms. The single cup of drinking water we think is pure, carries millions of minute organisms like bacteria and viruses, and contains mineral substances like iron, copper, aluminum, sodium, magnesium and calcium. In addition it also contains organic substances like carbon, dust and other substances, all included in what we call as “pure” water. Scientists have discovered that this water can be purified by heating it until the boiling point of 100 degrees Centigrade, then accumulating vapor, condensing it and then cooling it. As a result, you get distilled water that is pure to a great extent .Scientists say that the best kind of distilled water is rain water right before it descends to the ground and mixes with polluted particles in the air. The civilization of this age has generated many of the pollution; the falling of rainwater cleans the atmosphere because the rainwater that is distilled is distinguished by its characteristic for the absorption of substances. It absorbs from the atmosphere, sulfur and other substances and minerals such as poisonous lead subsequently the rainwater’s essence is acidic .On the contrary, the past rainwater was pure because the atmosphere was not polluted. Figure ( 1 ): Scientists announce today that rainwater is distilled, this pure water due to its purged characteristics, is an excellent remover of dirt and can cleanse and sterilize any thing .And Allah proved it when He termed the descending water from the sky by the “pure” water and this on its own, is precisely and scientifically accurate. )And we send down from the sky pure wate). Now lets reckon some of the characteristics associated with the water descending from the sky i.e. : rainwater .The rainwater is considered exactly as distilled water, resulting from the vaporization of the water from the seas and its condensation in the form of clouds then it descending as rain . Therefore it is thoroughly pure water. The rainwater can remove the dirt on the human skin more than the regular water, thus this water is considered a disinfectant used in medicine .It is free from the viruses and bacteria, also possessing the feature of the absorption of metals, gases and dust particles and any substance that comes into contact with it on a large scale, therefore it is an antiseptic to the atmosphere as well. (And We send down from the sky pure water) The criterion, 48. The word “Tahara” (purified) in the language means the removal of dirt and impurities and the abstinence from it as stated in the dictionary. There a new attribute associated with this water explained by the scientists and that it is capable of renewing the cells in the body on a larger scale rather than the common water. As for the energy scientists, they confirm that the rainwater possesses bigger quantities of energy, thus positively reflecting on the psychological state of the human. Figure (2): Allah (swt) has mentioned the name of the river water and that stored under the ground that we drink as “sweet” water i.e. : water with acceptable taste. While He named the sea water by “salty” water for the indication of its surplus of saltiness. He also named the rainwater as “pure” water and hence the Qur’an is the first book that provides accurate scientific classification. (]Remember] when He overwhelmed you with drowsiness [giving] security from Him and sent down upon you from the sky, rain by which to purify you and remove from you the evil [suggestions] of Satan and to make steadfast your hearts and plant firmly thereby your feet. ) Al-Anfal, 11. This verse specifically talks about rain water through the verse: (sent down upon you from the sky rain) and we previously embarked upon the cleansing feature in this water as Allah says: (Which to purify you). We also spoke about the presence of energy it possesses thus affecting the human in giving him the push and power for confirmation, needed when facing the enemy. By this we are talking about the positive energy when facing intricate situations (1) and this is indicated in the following verse: (and plant firmly thereby your feet). It is noticable that the Quran differentiates between the word “Tahur”/pure and “Furat”/sweet in its verses for Allah says: (and have given you to drink sweet water.) Al-Mursalat, 27. The water we drink from the rivers, springs and wells is acceptable and taste sweet because it contains quantity of the minerals like iron that causing the water to taste sweet. This definition suits the expression “Furatan”/sweet. The term “Furat”/sweet water in the language is the water with acceptable taste as described in the linguistic dictionaries .While the descending water from the sky is distilled water which possesses the characteristics of sterilization and cleansing and carries not taste! Therefore the Divine described it as “Tahura”. So is there repetition in the Quran or is it a miracle? The water as it descends from the sky is pure but when it mixes with the minerals and salts present in the land and become “Furatan”/sweet. Even though, the Qur’an speaks about the river waters, we find it using the term “Furatan”/sweet and not “Tahuran”/pure. This is again due to the fact that the water of the sweet river contains many of the solved metals (minerals) in it, Exalted Allah says: (And not alike are the two bodies of water. One is fresh and sweet, palatable for drinking, and one is salty and bitter.) Fater,12. The following verse made me contemplate: (And not alike are the two bodies of water. One is fresh and sweet, palatable for drinking, and one is salty and bitter.) Fater, 12. I wondered why Allah it associated each kind with two attributes, “Fresh and Sweet”-”Salty and Bitter”. We know that river water is “fresh”, why did Allah add another attribute “sweet”? Where as Sea water Allah described it as “Salty” but why did He assign to it another attribute “Bitter”? At the same time Allah assigned Rain water just one attribute “Pure”? Yes, this is because the rainwater as we saw earlier is pure, distilled and has neither taste nor smell, thus a single attribute suffices it. Figure 3: The sea water is the “bitter” water. In the language the verb “Ujaj” means exceeded the limit, and this is what we find in sea water which maintains saltiness that exceeds the normal limit. Therefore Allah has described sea water as (Salty/Bitter) because the word (salty) is not enough as a description, but the fresh water does contain some salts but we don’t sense there presence!! The Quran uses the term “Tahuran”/Pure in association with water descending from the sky because it is pure water, and this is what scientists call “Distilled” water and considers it as a cleaning substance. Where as the word “Sweet” Allah does not associate it with sky water at all, but with the water that we drink. River water is not completely pure and contains some salts and minerals giving it a palatable taste. Further, if we ponder upon the Quranic description of Sea water we find the word “Ujaj”/Bitter which describes the excessive salt present in it. The Quran does not assign saltiness as an attribute on its own, it doesn’t say “This is salty” only, but on the contrary, it mentions “It is salty and bitter”. From a scientific point of view if we say that the water contains salts then this is ludicrous because all water types contain salts with varying degrees, therefore it is a must to describe the degree of saltiness, and this precisely is what the Quran did. The Quran is the first book that handles the disinfecting characteristic of rain water or distilled water and this attribute is not mentioned except in association with sky water. Whereas the human writing does not differentiate between the fresh water , the sweet water and the pure water while the Quran accurately made a distinction and positioned each term in its accurate place. Glory is to Allah, every single word and letter in his Book fits flawlessly. The question we wish to forward to the skeptics in the field of scientific Quranic miracle is: If the Quran was a result of human formation, would it have been able to make the distinction between those words at that age?? Then we can denounce that the Quran spoke about those specifications before the physicists discovered it by long centuries. That is to say that the Quran is the first book that makes the distinction between the natures of the water and this is a material proof of the Divine origin of such a book. in fact God supported His last Prophet Muhammad with many miracles and much evidence which proved that he is a true Prophet sent by God. Also, God supported His last revealed book, the Holy Quran, with many miracles that prove that this Quran is the literal word of God, revealed by Him, and that it was not authored by any human being. This chapter discusses some of this evidence. this proves without doubt that the Quran must be the literal word of God, revealed by Him to the Prophet Muhammad , and that the Quran was not authored by Muhammad or by any other human being. This also proves that Muhammad is truly a prophet sent by God. It is beyond reason that anyone fourteen hundred years ago would have known these facts discovered or proven only recently with advanced equipment and sophisticated scientific methods. What does verse mean ? (1)There are successive layers of darkness till we reach the dark sea. (2)the word ( Zolmat in Arabic rendered “darkness in English ) used in plural in the verse , here is another miracle as the Quran uses the word in plural, which means that there are successive stages of darkness or a number of layers of darkness before we reach the dark sea and these layers are caused by the clouds , then the layer of darkness caused by the surface sea and the water below and then the layers of darkness caused by the internal waves . (3) This part of the verse “If a man stretches out his hand, he cannot see it…. ” refers to the age of submarines as no can go so deep by himself or without being aided by technology . Does this verse match the newly-discovered facts regarding the internal waves ? How can the darkness occur in the deep sea ? people know the clarity of the water of the seas ( granulation of colour into seas and oceans )by the use Secchi disc. Even though the Secchi disc measurement of water clarity is an approximate evaluation of the transparency of water, it is used primarily for its simplicity. A more accurate measurement of underwater irradiance can be made by the use of photometer, but that amount of accuracy is not needed for the Self Help Program instituted by the Michigan Department of Natural Resource in 1974. The Secchi disk is used to measure how deep a person can see into the water. It is lowered into the lake by unwinding the waterproof tape to which it is attached and until the observer loses sight of it. The disk is then raised until it reappears. The depth of the water where the disk vanishes and reappears is the Secchi disk reading. The depth level reading on the tape at the surface level of the lake is recorded to the nearest foot. The rays emitted from the sun is composed of electromagnetic waves starting with the radio waves to the X-rays , the overwhelming seen light is the spectrum along with the infrared , the ultra violet rays and some elementary accelerated particles such as the electrons . Most of the ultra violet rays are blocked by the Ozone layer . When the rest of the sun rays reach the below strata of the gas atmosphere of the earth , the clouds reflect and disperse about 30% .The clouds , the condensation nucleus , the particles of the hanging dust and water vapour absorb about 19% of the light . So during the process of light reflection , absorption and dispersion , the clouds block or screen about 49% of the sun rays causing a relative darkness under the clouds. A Passenger on a plane flying over the clouds will see the light of the sun so bright but if the plane flies under the clouds , that is , between the clouds and the surface of the sea , the passenger will realize that the light of the sun begins to fade away and becomes less bright ; this means that the area between the clouds and the surface of the sea is a little dark because the rays of the sun can not penetrate the clouds , which are a strong barrier that prevent the light to pass freely,thus resulting in a layer of darkness under the clouds. 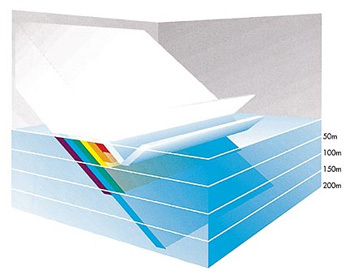 When the rest of the sun rays reaches the surface of the sea , about 35% of the infrared rays is consumed in evaporating some of the water forming the clouds and in photosynthesis process of naval plants .As to the rest of the white light that actually reach the surface of the sea , it doesn’t penetrate the surface wave completely as the surface wave reflects about 5% out of it making the bright colour of the surface of the sea . 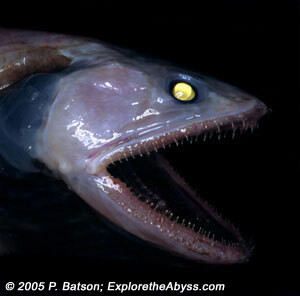 The darkness in deep seas and oceans is found around a depth of 200 meters below. At this depth, there is almost no light . 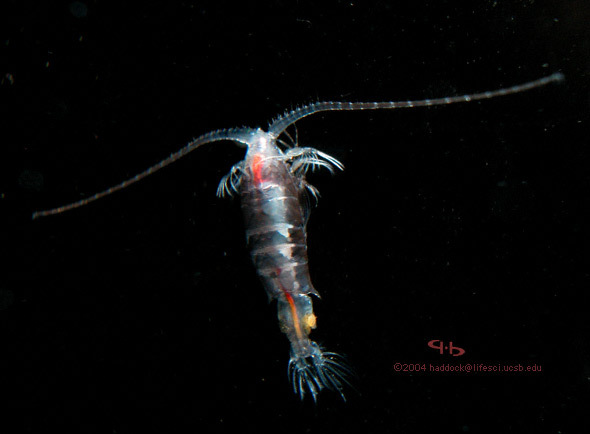 Below a depth of 1000 meters there is no light at all. Human beings are not able to dive more than forty meters without the aid of submarines or special equipment. 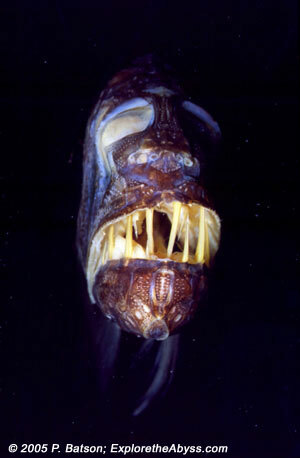 Human beings cannot survive unaided in the deep dark part of the oceans, such as at a depth of 200 meters . How does this darkness occur ? In this picture we see a ray of light going through the depth of the ocean. The upper layer has absorbed the red color in the first 10 meters . If a diver would dive to a depth of 30 meters and gets wounded there, he would not be able to see his blood, because the red color does not reach this depth. In the same way, as we see in this picture, orange rays are absorbed next. Then at the depth of 50 meters yellow rays are absorbed. At the depth of 100 meters green rays are absorbed. At depths beyond 200 meters , blue rays are absorbed, and so on. Despite the striking speed of light (300,000 km per second in space and about 225,000 km per second in water ) , it can only travel as far as 1000 meters ; only after 200 meters downwards darkness begins ; only (0.01%) out of the sun rays goes . Only this very little amount of light continues its journey till it disappears completely at the depth of one km below the sea surface and that is because of the infraction of light , dispersion and absorption . These two parts of the ocean differ with respect to their properties and haracteristics, and the surface is further separated from the deep part by waves. These internal waves were only discovered in the year 1900. Scientists have recently discovered that there are internal waves which “occur on dense interfaces between layers of different densities. The internal waves cover the deep waters of seas and oceans because the deep waters have a higher density than the waters above them. Bioluminescence is the production and emission of light by a living organism as the result of a chemical reaction during which chemical energy is converted to light energy. The name originates from the Greek bios for “living” and the Latin lumen “light”. 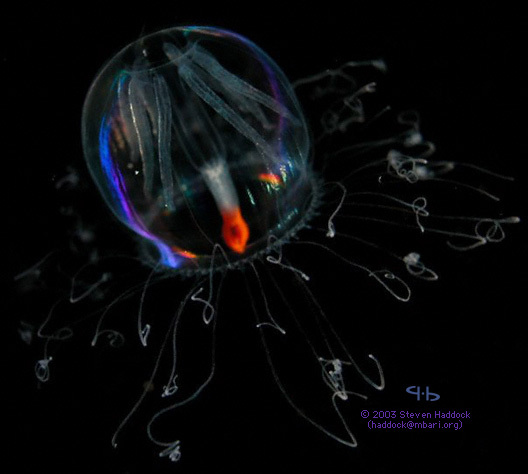 Bioluminescence may be generated by symbiotic organisms carried within a larger organism. It is generated by an enzyme-catalyzed chemoluminescence reaction, wherein the pigment luciferin is oxidised by theenzyme luciferase. Adenosine triphosphate (ATP) is involved in most instances. The chemical reaction can occur either within or outside of the cell. In bacteria, the expression of genes related to bioluminescence is controlled by an operon called the lux operon. 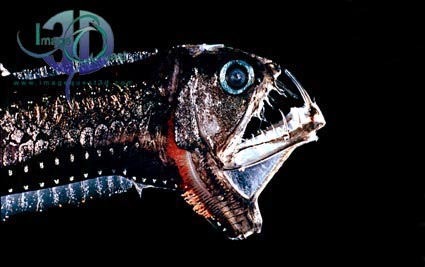 The viperfish lives in the bathyal zone. The bathyal zone extends down about 4,000 meters. Food is scarce in this region. The viperfish is able to survive in this area because he is a fierce hunter. He floats on his back and the tip of his spine glows. This glowing attracts fish. The fish come near and he stabs them with his long lower fangs. 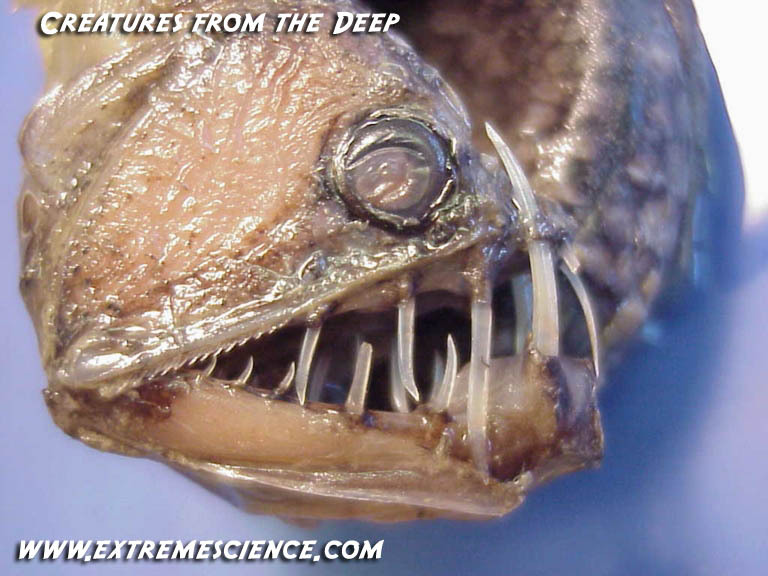 The viperfish also has curved teeth which prevents his prey from escaping. 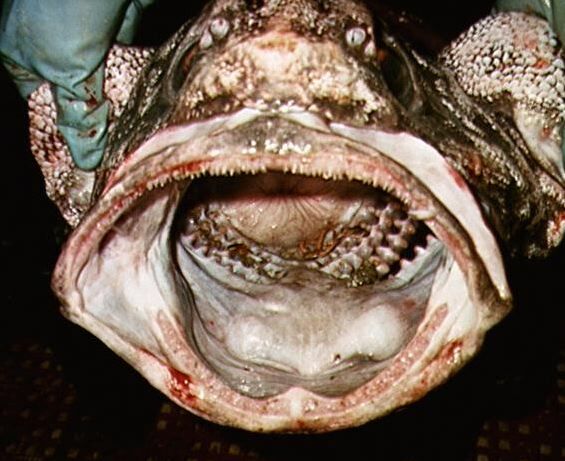 The world’s record holder for deepest fish goes to the brotulid* family, about which scientists know almost nothing. 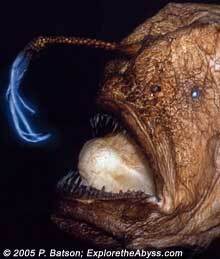 These fish are benthopelagic, living at depths of 7000 meters or more. 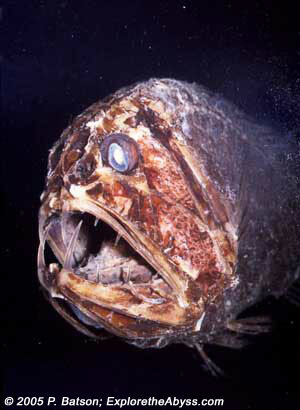 The world’s deepest fish (Abyssobrotula galatheae) was found in the Puerto Rican Trench at a depth of 8,372 meters (that’s over five miles down! ).Their eyes appear to be virtually nonexistent. Not only are they large and very hardy, but these pigmented copepods produce some of the brightest bioluminescent displays. They eject puffs of light when they do an escape flip. This small hydromedusa in the genus Aglantha is bioluminescent, but the blue and purple colors in this photo are formed by iridescence of thin tissues in its bell. The thickness of the tissue and angle of light striking it can cause bright colors to show up, similar to what happens with the ctenophore Beroe, although produced by a different mechanism. The orange color near the mouth is pigmentation, probably to mask luminescence or attract prey. 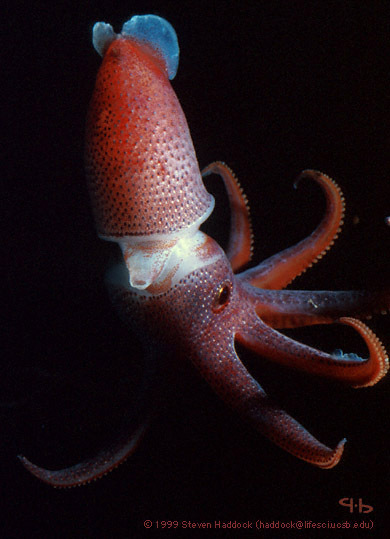 The deep-dwelling squid Histioteuthis heteropsis is covered with photophores, perhaps used to mask its silhouette from predators and prey. You may not have heard of it, but the hydromedusa Aequorea victoria is probably the most influential bioluminescent marine organism. 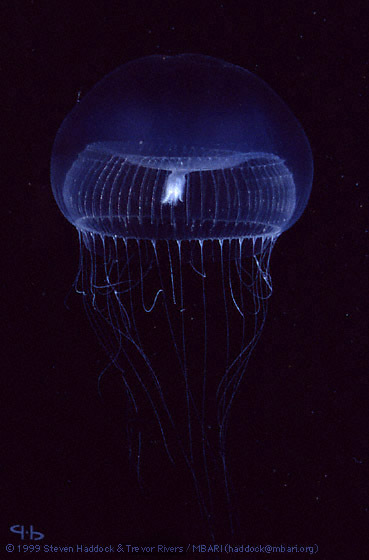 Calcium-activated photoprotein and green-fluorescent protein (GFP) were first discovered and cloned from this cnidarian. 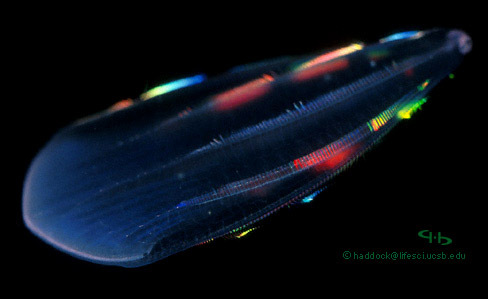 The rainbow colors on ctenophores are not bioluminescence. They are merely diffraction acting on the ambient light. This shallow-dwelling species, Beroe forskalii, produces a bright luminescent display when disturbed. (Approx size 10 cm). small hydromedusa in the genus Aglantha is bioluminescent, but the blue and purple colors in this photo are formed by iridescence of thin tissues in its bell. The thickness of the tissue and angle of light striking it can cause bright colors to show up, similar to what happens with the ctenophore Beroe, although produced by a different mechanism. The orange color near the mouth is pigmentation, probably to mask luminescence or attract prey. Myctophids, or lanternfish (not to be confused with anglerfish), are among the most numerous fish in the sea. They have species-specific patterns to the distribution of their light organs, leading some to suggest that they must be used to recognize potential mates. Whether or not this is true, they likely use their luminescence for counterillumination as well. Say: The (Qur’an) was sent down by Him who knows the secrets (that is) in the heavens and the earth... (Qur’an 25:6). It is from Allah. In this way, the testimonies of the scientists are concentrated one after the other in order to prove that this guidance and light contains in it the indisputable evidence of its truth, for the Qur’an is the source of guidance until the Last Hour. Modern Science has discovered that in the places where two different seas meet, there is a barrier between them. This barrier divides the two seas so that each sea has its own temperature, salinity, and density. For example, Mediterranean sea water is warm, saline, and less dense, compared to Atlantic ocean water. When Mediterranean sea water enters the Atlantic over the Gibraltar sill, it moves several hundred kilometers into the Atlantic at a depth of about 1000 meters with its own warm, saline, and less dense characteristics. The Mediterranean water stabilizes at this depth (see figure 13). Modern science has discovered that in estuaries, where fresh (sweet) and salt water meet, the situation is somewhat different from what is found in places where two seas meet. 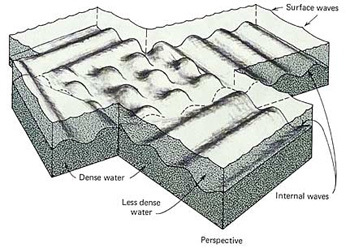 It has been discovered that what distinguishes fresh water from salt water in estuaries is a “pycnocline zone with a marked density discontinuity separating the two layers.” This partition (zone of separation) has a different salinity from the fresh water and from the salt water (see figure 14).